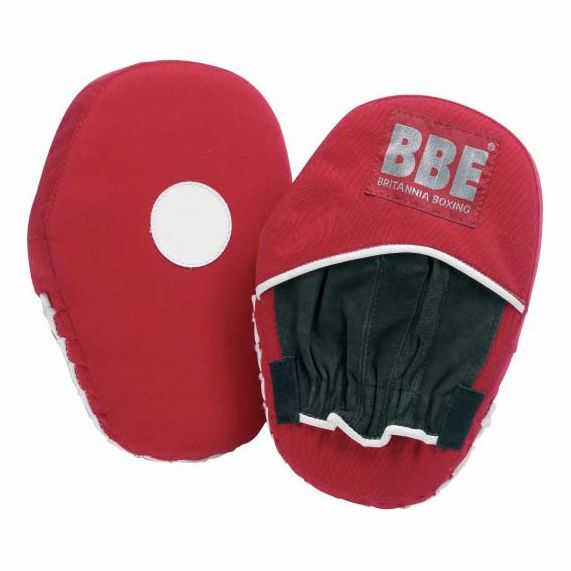 The BBE Club Canvas hook and jab pads weigh 0.5kg (1.1lbs) and are supplied with sewn in disc mounted targets for improved hand-eye co-ordination. They are manufactured from a durable canvas material and offer lightweight shock absorbent 40mm closed cell air foam incorporating an additional layer of impact resistant EVA foam. These traditional style coaching pads feature an elasticated individual finger pocket glove providing a good grip. for submitting product information about BBE Club Canvas Hook and Jab Pads We aim to answer all questions within 2-3 days. for submitting product information about BBE Club Canvas Hook and Jab Pads. We aim to answer all questions within 2-3 days. If you provided your name and email address, we will email you as soon as the answer is published. Good value pads for club/fitness groups. When you're on a budget these do the job! for submitting product review about BBE Club Canvas Hook and Jab Pads.